The Beard Team USA Blog: Go Steelers! BTUSA does not normally take positions on matters such as the Super Bowl, presidential elections, evolution vs. creation, etc. 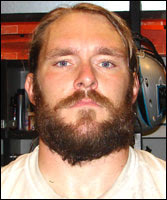 But this year our own Justin Hartwig will be on the field as the starting center for the Steelers. Good luck, Justin! I want to create my New England us profile. I really need some help with this as I have no experience in creating customer profiles so any help will be welcome really.